Bon Voyage! 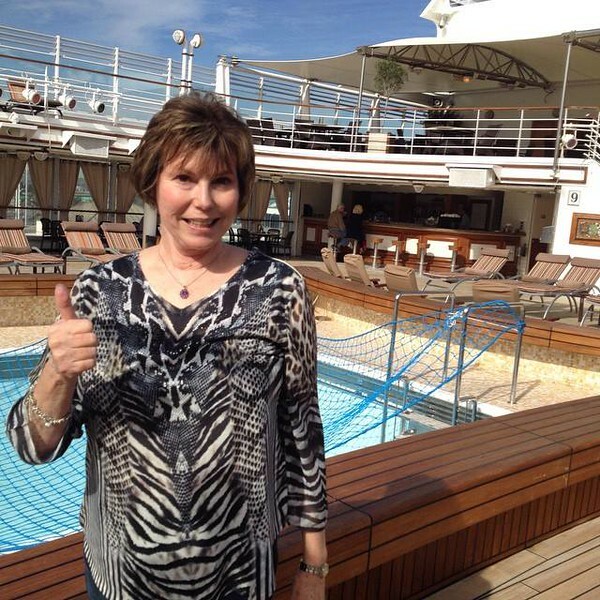 Thumbs up for the big 64 day cruise through the South Pacific! Hello from the Silver Spirit. Alan and I boarded in Los Angeles after a night’s stay at the Montage Beverly Hills. Silversea hosted the 140 cruisers who will be taking the 64-day Grand Voyage, Southern Cross 2015 (#southerncross2015) for a gala dinner. We appreciated the opportunity to get to know our fellow cruisers. All of our luggage made it (remember my confession from last week? ), we’ve unpacked and are ready for this grand adventure. To keep up with is in real time, check out the photos and posts on the My Itchy Travel Feet page on Facebook and Twitter. Hopefully, we’ll manage to post photos to Instagram, as well, but that’s a little more complicated using shipboard Internet. This is Nicole, Assistant Editor at My Itchy Travel Feet. I’ll be helping out with News for the Week while Alan and Donna are traveling. It’s been a big week for them. They’ve just embarked on a HUGE adventure through the South Pacific! That’s right, 64 days on the open sea, starting out from Los Angeles and hitting 29 ports along the way. Donna has outlined their South Pacific itinerary on the site and it looks incredible! Although the 64-day cruise will be their longest time on a cruise ship, it’s not their first time exploring this part of the world. To get an idea of how they spent their time on previous cruises, take a look at some of their most memorable cruise excursions from their last three South Pacific cruises. On their way back to the states in March, the last ports of the cruise will be in Hawaii, specifically, Kaui, Oahu, Maui and the Big Island. Again, these two are no strangers to Hawaii’s many exotic charms. Read about their previous Boomer Adventures in Hawaii. If you’d rather read about Ireland, check out Rita Foley’s guest article about a multigenerational trip to Dublin. In other news, we’re happy to report that we’ve been featured in a few top travel blogs this week. The Volunteer Travel blog at Discover Corps named My Itchy Travel Feet as one of the Best Boomer Travel Blogs for 2015. Donna was also quoted in Avanti Travel’s article, Holidays for the Older Traveler. That’s all for now but we really want to hear from you. If you have a question about travel or suggestions for our next boomer road trip eguide, please send an email through our contact us.